A few weeks ago, I decided that I would post one of my favorite Green Day songs at the end of September. 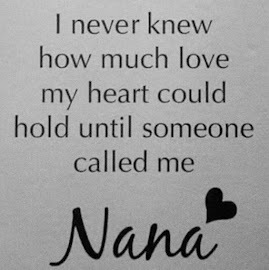 All of us have months that remind us of the loved ones who died in that month. For Billie Joe Armstrong it is September, the month in which his father died when Billie Joe was just a boy. In addition to that yearly reminder, he has had himself a difficult September 2012, beginning with a sudden illness and immediate hospitalization leading to a cancelled concert in Italy. Then he went on a little rampage flailing out at a young singer. And finally he has gone into treatment for substance abuse. My heart goes out to him as I offer his wonderful song on this last day of September. It's been one week since Mom went missing. You may read more book beginnings at Rose City Reader. When there are so many cookbooks out there, you may wonder why you should buy one that is so specialized. Why do you need recipes that are all about cornmeal? And I say, because this is one of the most entertaining, cheerful, and witty books about food I've read. And we all welcome a little more cheer and wit into our lives, don't we? To say nothing of the cornbread! This man loves cornbread. it is definitely one word. As far as I know the first one has not come into being but according to his fun blog, he is now married! Every New Englander might easily raise all his own breadstuffs in this land of rye and Indian corn, and not depend on distant and fluctuating markets for them. Yet so far are we from simplicity and independence that, in Concord, fresh and sweet meal is rarely sold in shops . . . For the most part the farmer gives to his cattle and hogs the grain of his own producing, and buys flour, which is at least no more wholesome, at a great cost, at the store. Later, the author tells about the difference between degerminated cornmeal and whole-grain cornmeal. He's no cornmeal snob. He uses both. While the whole-grain is more nutritious, as you might imagine, it does spoil if not kept cold. I would never buy whole-grain cornmeal that is more than two months old. I much prefer to buy it earlier that that. (If you're inclined to mill your own corn at home with a hand mill or electric mill, you'll get the freshest cornmeal of all.) And when I get whole-grain cornmeal home, I put it in an airtight bag in the freezer immediately. Frozen, it lasts for months. Mine comes from Butterworks Farm, and I'm quite sure it is fresh when I buy it. I just need to pop it in the freezer when I get it home. It does indeed look just like Jeremy Jackson describes it. Whole-grain cornmeal is not uniform in shape - it contains small pieces (a.k.a. "dust") and larger pieces, and everything in between. It is mottled in color. The good news is about whole-grain cornmeal is that when it's fresh, it is flavorful and homey and individual. The continued "Balkanization" of cornbreads has perhaps placed too much emphasis on the idea that certain cornbreads are or aren't "authentic." Any cornbread that has corn in it is authentic, as far as I'm concerned. And though southern cuisine still celebrates cornbread more than any other region, even southerners are consumed by the idea that only white cornmeal can make "real" cornbread. Meanwhile, most people seem to get their cornbread recipe off the back of the Quaker cornmeal box (even Julia Child admits as much) or out of the Jiffy box. There are many recipes I want to try, such as Portuguese Cornbread (Broa), Summer Kitchen Pound Cake, Berry Patch Cobbler, and Popcorn White Loaf. Yes, popcorn. World War II saw another revival of cornmeal cookery, including the remarkable use of "popcorn flour" in breads. When President Truman ordered bakers to use less wheat flour, the H. Piper Company, then a major retail bakery in Chicago, sought alternatives and found that popped popcorn that was milled into a "flour" was an excellent way to stretch their wheat flour supply. In fact, many people thought that the combination of 25 percent popcorn flour and 75 percent wheat flour created a bread that was superior to one made with wheat flour alone. The author gives instructions on how to make this flour. It is quick and easy. For today, I made the simple and delicious Buttermilk Cornbread to go with tonight's Bean, Lentil, and Grains Stew. This moist, full-flavored, buttermilk-based cornbread is similar in nature and spirit to many of the favorite cornbreads of the South, which are usually made with white cornmeal. Often they don't contain any sugar. 1. Preheat your oven all the way to 450ºF. When it's reached that temperature, put the 1 tablespoon canola oil into a 9 x 9-inch baking pan or 10 1/2-inch iron skillet and put the pan/skillet into the oven to heat. 2. Whisk the dry ingredients together until they're well combined and there aren't any lumps of baking soda visible. Separately, whisk the buttermilk, egg, and 1/4 cup oil together until they are smooth. 3. Remove the hot pan/skilllet from the oven and pour the batter into the pan. The batter will sizzle as it hits the hot oil. Shake the batter into the corners of the pan and then return it quickly to the oven. 4. Bake the cornbread for 18 to 26 minutes, until it's lightly browned. I used the cast iron skillet. This cornbread is wonderful, wonderful. I wish you could taste it, but you can if you buy The Cornbread Book! 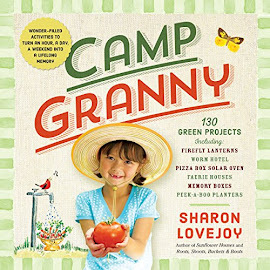 This is another book for the Foodies Read 2 Challenge 2012. The grave of The Great Gatsby author F. Scott Fitzgerald lies next to a major thoroughfare for commuters between Rockville, Md., and Washington, D.C.
Every weekday, thousands of commuters to the nation's capital drive past the grave of a celebrated American author, and it's a good bet they don't realize it. F. Scott Fitzgerald, the author of The Great Gatsby, was born in St. Paul, Minn.; he's associated with that city, as well as Paris, the Riviera and New York. But he's buried in Rockville, Md., outside Washington, D.C., next to a highway between strip malls and train tracks. Scott Fitzgerald, as he was known, was the prime chronicler of the Jazz Age of the Roaring '20s. He wrote of insouciant youth, flappers and millionaires — a postwar generation of young Americans skeptical of its elders and eager to embrace a prosperous age. With his wife, Zelda, Fitzgerald became an emblem of the era, living out many of its excesses. His first novel, This Side of Paradise, begun while he was an undergraduate at Princeton University, earned acclaim among critics and instantly brought the author wealth and notoriety. He followed that with The Beautiful and the Damned and The Great Gatsby, one of the most celebrated books of American literature. Gatsby was followed by two other novels and 180 short stories. But Fitzgerald's heavy drinking took a toll on his health and wealth, as well as his critical reputation. He died at age 44 of a heart attack, while writing screenplays in Hollywood. At the time of his death, Fitzgerald considered himself a failure. After the Great Depression, readers and publishers were no longer interested in tales of the Jazz Age, and he was hard-pressed to find his novels on bookstore shelves. When he died unexpectedly before Christmas in 1940, Fitzgerald's wife and his lawyer arranged for his body to be sent from California to Maryland, to be buried next to his father in a family plot at St. Mary's Catholic Church. The writer's family had deep roots in the state; he's named after distant relative and Maryland native Francis Scott Key, author of "The Star-Spangled Banner." 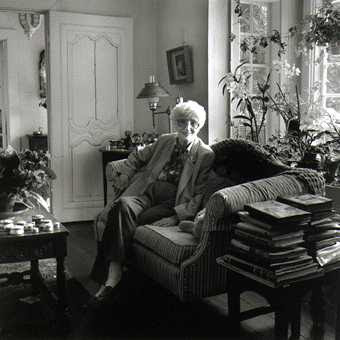 Writer Maureen Corrigan has visited Fitzgerald's grave often. The book critic for WHYY's Fresh Air is also a professor of literature at Georgetown University and gets her car fixed at a garage near the Rockville cemetery. Corrigan says she always finds fresh gifts and tokens next to the grave. "The two things that I've seen almost consistently at the gravesite," she says, "are small bottles of alcohol, that you would get on an airplane, and spare change." Corrigan is at work on a book about how Americans read The Great Gatsby. She finds eerie similarities in Fitzgerald's burial and that of his most famous character. Fitzgerald was initially refused burial at St. Mary's, on the grounds that he wasn't a "practicing" Catholic at his death. Instead, after an impersonal service, he was interred at another cemetery nearby. "It was raining," says Corrigan, "and there were about 25 people, so he got more than Gatsby. But the Protestant minister who performed the service didn't know who he was. So when you read Gatsby's burial, you really do get a chill, because it almost seems to anticipate what would happen to the author." And as for a grave marker for this landmark American author? "I doubt there was one," says his granddaughter, Eleanor Lanahan. "He was totally broke when he died. I don't think anyone had much money to spend on a gravestone." Lanahan's mother, Scottie, was the Fitzgeralds' only child. In family pictures, Scottie looks likes a third Musketeer to her dashing parents. Eventually, Zelda Fitzgerald was institutionalized in Maryland for mental illness; her husband and daughter moved nearby. Lanahan says Zelda wrote that her husband "always thought he'd be going back to the rolling hills of Maryland." Indeed, Fitzgerald wrote a friend, "I wouldn't mind a bit if Zelda and I could snuggle up under a stone in some old graveyard here." Seven years after his death, Zelda did join him in that cemetery, after she died in a fire at an asylum. Their graves were virtually forgotten for almost three decades, until a local women's group contacted Scottie about erecting a plaque. Instead, the group and Scottie approached St. Mary's again, 35 years after Fitzgerald had been turned away. The church agreed to allow the couple to be moved into the family plot. This time, there was a headstone, chosen by Scottie, with the famous last words of The Great Gatsby inscribed on it: "So we beat on, boats against the current, borne back ceaselessly into the past." Corrigan reads that last line as a challenge to Americans. "What those last lines are asking us to think about," she says, "is whether or not it's a worthless effort to try to get ahead, run faster, be stronger, in light of the fact that ultimately we all die and are pulled back into the past, or whether that's what makes us great, that we do try." 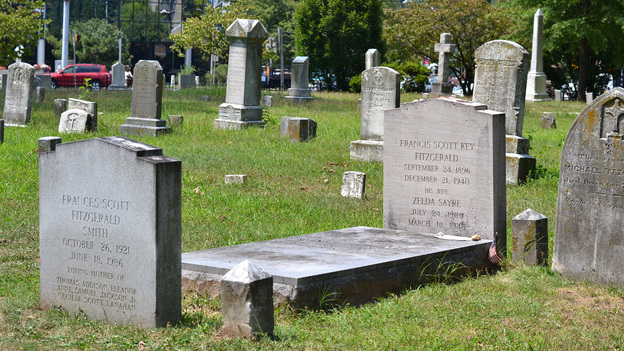 In 1986, Scottie Fitzgerald was buried with her parents in the family plot at St. Mary's. Her grave is at their feet. Since this is the first day of 'Libra sun,' here is a wonderful song by Mr. Wonder. I have a bottle of Kate's Buttermilk and apples in the fridge so I did a search for a recipe with both ingredients, and came upon one of my new favorite apple desserts. You may find it here at Pinch My Salt blog. There are a lot of wonderful things there so look around! Preheat oven to 400 degrees, butter and flour an 8-inch round cake pan* (or spray with Baker’s Joy or equivalent). In a medium bowl, whisk together flour, baking soda, baking powder, cinnamon, and salt; set aside. In a separate bowl, beat butter and sugar with an electric mixer until pale and fluffy, about two minutes. I just bought this new beater and used it for the first time today. It is great. You can see how it scrapes the sides as it mixes. With the mixer set to low speed, beat in 1/3 of the flour mixture. Add half the buttermilk and continue beating on low speed until incorporated. Scraping down sides of bowl as necessary, beat in another 1/3 of flour mixture then remaining buttermilk. Finally beat in the last 1/3 of the flour mixture until just combined. 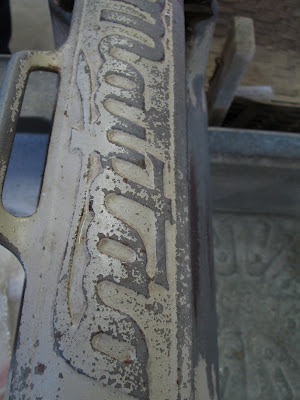 Scrape batter into the cake pan, smoothing the top with a spatula. Scatter apple pieces evenly over the top of the cake batter then sprinkle evenly with raw sugar. Bake in a preheated 400-degree oven until cake is golden and a toothpick inserted in the center comes out clean, 25 to 30 minutes. Cool in the pan for ten minutes, then turn out onto a wire rack to cool until warm. *You may use a 9-inch cake pan, if you don’t have an 8-inch one. This is unbelievably good, and I thank Nicole for letting me post her recipe. Last night around 10 the power went out. We assumed it was our whole area, since there had been very strong winds. But this morning we found out that Margaret and Matthew have power. We alone lost it because of this little poplar out back. The power folks will get to us when they can. There are whole areas out in the state, and a single home isn't the first place they will be attending to. In the meantime we have the gggenerator going so we have the fridge, freezer, computer, and tv. We're all set for a while. just what delineates the various kinds of fruit desserts. I'm going to quote freely from the piece. A crumble, as you might guess, features irresistibly crumbly morsels that make the fruit (almost) seem like an afterthought. A cobbler, possibly named for the way cooks cobbled it together from ingredients on hand, is as inviting and homey as it sounds; it is made with sweet-tart filling and either a moist batter or a billowing biscuit topping. A crisp is a baked concoction of sweetened fruit with a crumbly topping. Some debate whether the topping should include oats. A brown Betty is a spiced fruit dessert with buttered breadcrumbs or cake-crumb topping that turns golden brown as it cooks. A buckle is a hybrid dessert - like a cakey cobbler with a crumble topping. A pandowdy, with its rustic piecrust topping, is mussed up intentionally, giving it a dowdy appearance that encourages one to dive in with abandon. you might inadvertently redefine the dessert, turning a grunt into a crumble, or even add a whole new member to the genre. It makes no difference; let your mood and your supplies guide you. I just love all these names. There are several I've never made, but I will begin to remedy that situation today. As I was writing this, I (coincidentally??) heard 'Along Came Betty' on a jazz radio station, so here it is (and more!) for your listening pleasure as you read along. Since the article is from her magazine, I thought I'd make Martha's Apple Brown Betty. In a food processor, pulse bread until coarse crumbs form (you should have about 2 cups). Spread breadcrumbs on a rimmed baking sheet; bake until golden, 8 to 10 minutes. Transfer to a bowl, add butter, and toss until coated. Meanwhile, place apples in a large bowl, and toss with lemon juice. Stir in sugar, cinnamon, nutmeg, and half the breadcrumbs. Transfer mixture to an 8-inch square (or other shallow 2-quart) baking dish. Bake until fruit mixture is bubbling, about 40 minutes. Then remove foil, and continue baking until breadcrumbs have browned and apples are easily pierced with a paring knife, 10 to 15 minutes more. I used salted butter, and white sugar. I used our homemade whole wheat bread, and cut off the crusts. Whole wheat crumbs toast much faster than 8-10 minutes - check after 3 or 4. I think next time I wouldn't even both to toast the crumbs. I'm sure they will crisp up just fine in the baking. Even though it didn't say to grease the baking dish, I coated it with cooking spray. I used the apples I had on hand, Galas and McIntoshes. And they must have been a lot smaller than the ones in the original recipe. I used many more than six, and weighed them on the kitchen scale. I barely used two pounds, and there were plenty of apples. I tried using a 7 x 11 pan, but it was too full so I switched to a 9 x 13. And, I forgot to mix the butter in with the crumbs so I just poured it over the top. I topped with whipped cream. This is a really good apple dessert. It's just a little different from all the others I've made over the years. The crumbs add a crunchiness that I loved. Wonderful. I'll make this again and again. Onion rings, garlic roasted potatoes, corn-apple hotcakes, and blink-of-an-eye rhubarb pie. It seems like a pretty grand statement to call this the best ever, but after tasting lots of them, it's true! Spread apples in a buttered, shallow 1 1/2 quart baking dish. Combine lemon juice and water, and pour over apples. Spinkle generously with cinnamon and lightly with nutmeg. Work together above ingredients with fingers or pastry blender until crumbly. Bake 50-60 minutes, or until apples are tender and topping is crisply browned. I didn't peel the apples. 1 1/2 quart pan is equal to an 8 x 8. I used all white sugar. Now the big question. Would I call this 'the best ever?' It is certainly delicious, but I don't think I could ever rate such a perfect, perfect end-of-summer-into-fall dessert. I've posted a few recipes here on the blog, and each of them is great. I say, make them all! There are many other apple desserts if you look under Recipes (under the banner photo), then Fruit Desserts. Apples are the stars this time of year. Not very clear since I took it through the screen, and used the zoom, but there are a mother and her baby eating tomatoes. They've been coming around for a few days, usually with the other two fawns. Makes us happy we didn't clean up the garden yet. This is a perfect book for someone who hasn't read Agatha Christie, and only knows of her as the creator of Miss Marple and Hercule Poirot. 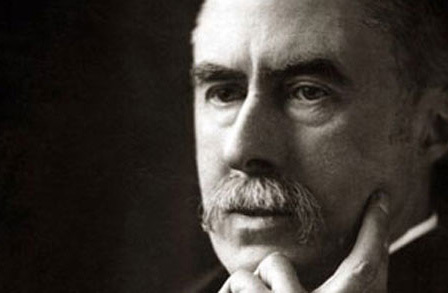 It contains eight short stories which show the range of this great writer. There isn't a Jane Marple story, but Hercule Poirot makes two appearances. We also meet those fellows I've only recently become acquainted with: Mr. Satterthwaite, and Parker Pyne; and the mysterious Harley Quin. There are a couple without any specific detective. Some stories are dark, while others are light. I didn't even know it existed until I saw it available as a downloadable book for my Nook from the state library. I had read a couple of these stories before but most of them were brand new to me. One of the stories quite surprised me because it had a supernatural feeling to it. This was The Harlequin Tea Set. I had to look up the word 'harlequin.' The only usage I knew it from was the Peter Wimsey mystery Murder Must Advertise by Dorothy L. Sayers. A bit like my Fiestaware dishes, perhaps. Harley Quin is a mystery. He appears and disappears unexpectedly and by strange tricks of light and reflections; making his clothes seem brightly multicoloured like the theatrical Harlequin. 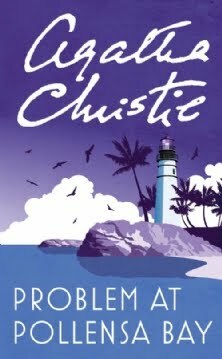 The stories in Problem at Pollensa Bay are, in addition to the title one, The Second Gong, Yellow Iris, The Harlequin Tea Set, The Regatta Mystery, The Love Detectives, Next to a Dog, and Magnolia Blossom. Each one has a different feel to it. 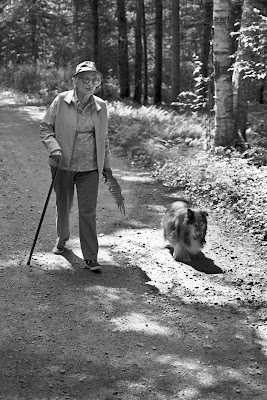 And because some of you may wonder, the dog does die in the dog story, but he is old, and his death allows a woman to live a better life. This one and Magnolia Blossom were the least appealing to me, but they are still worth reading. A most enjoyable collection. 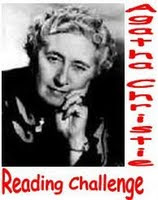 If you don't know about the Agatha Christie Reading Challenge, please visit Kerrie here. 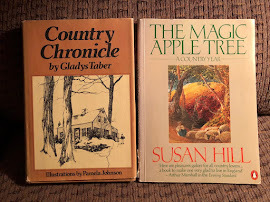 It is a fun way to connect with other fans, and see monthly blog postings about Agatha's books and stories. 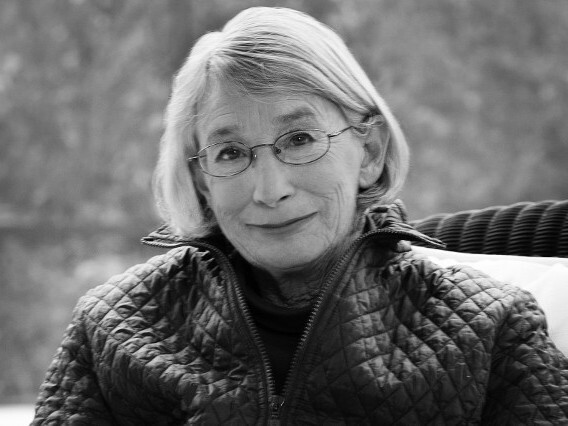 Recipient of the Pulitzer Prize, the National Book Award, and a Guggenheim Fellowship, Mary Oliver is one of America’s most esteemed and beloved poets. Her poems, with their deep connection to nature, are renowned for their evocative and precise imagery, transforming the everyday world into a place of magic and discovery. 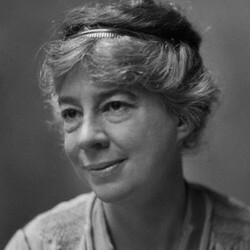 Throughout her celebrated career, she has published more than 20 books of poetry, including American Primitive and New and Selected Poems, Volume One, and taught at many colleges and universities around the country, inspiring generations of younger writers. 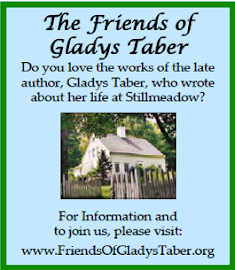 Join us for an evening with one of America’s foremost poets as she reads and discusses her work including her latest book of poems, A Thousand Mornings, releasing October 11, 2012. And now for a poem to celebrate! let me never be afraid to use the word beautiful. and the blossoms of the geranium at the window. And the eyes of the happy puppy as he wakes. by itself, on the couch, in the morning sun. books of so many colors. The two poached eggs. The buttered toast. white as a block of snow. The typewriter humming, ready to go. And three old horses bring the autumn home. And all the tasseled splendor has to yield. A sky of stars flung down to earth as daisies. After these softest stars within the mowing. Clear buttercups and cloudy asters, mullein. Goodbye and praise to the high-summer ranges. Cut down the ghosts of summer with the fruit. Flower in the cold, bright mowing that will keep. 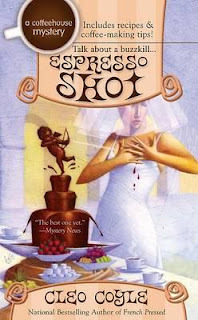 In this book, Clare Cosi's ex-husband, the charming bad boy Matteo, is about to get married to a glamorous woman, Breanne Summour. When a young woman who looks very much like her is shot, the possibility looms that Breanne may have been the target. two steaming shots of espresso stirred into a base of my [Clare] homemade chocolate syrup, a pour of steamed milk, plenty of frothy foam, and a whipped cream cloud as high as Denali. … dusted with bittersweet shavings. "if these restaurants are underground, how do you even find out about them?" "Oh, there are lots of ways. Foodie networking mostly; chefs and friends of chefs; amateur reviewers; and of course, the local blogs. If you throw a little money around, waitstaffs will usually clue you in on their neighborhoods' culinary secrets." "A hot young chef named Moon Pac wants to open a restaurant and needs financial backers. If he dazzles the right people, he might get his sugar daddy, so he's been throwing this dinner once a week for the last two months. I was invited by e-mail. Other influential New York foodies and restauranteurs received the same invitation." "kopi is the Indonesian word for "coffee," and luwak referred to the small catlike animal from which the coffee beans were collected. … The luwak is a feral, forest animal. It eats coffee cherries and voids them whole. The Indonesian farmers collect them, process them, and sell them as the most expensive coffee on earth: Kopi Luwak." For an innkeeper who loves to bake delicious breakfast foods, can you imagine anything worse than hosting a group of dieters?! 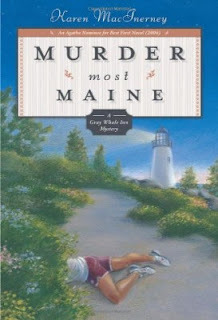 That's what happens in this third installment of the Gray Whale Inn mysteries, set on Cranberry Island in Maine. It is now the second May Natalie Barnes has lived in Maine, where she runs the Gray Whale Inn. She left her home in Texas and settled here in a much different climate. It is fun for this New Englander to read of the differences in Nat's new locale and her old one. She still can't get used to the cold. 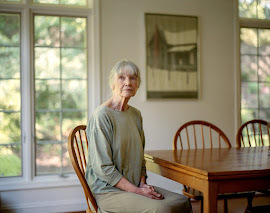 She marvels that in May 'flower buds were just starting to appear on the hillsides of Cranberry Island' while in Austin, 'the bluebonnets had carpeted the hillsides two months ago.' I'll tell you that is a marvel for me to read. We still have snow in March! The Inn is hosting the 'Lose-It-All Weight Loss' retreat. For the first time, Natalie will be offering three meals a day. She will still bake some goodies for the store which her friend Charlene runs, but for the time the dieters are there, everything she cooks is low-calorie and no-butter. I've mentioned that the first two books had great recipes, and this one continues giving recipes for foods mentioned in the book, only this time they are predominanly main meals. The upsetting thing about this group is that the leader is a former summer visitor to the island, and Natalie's boyfriend John was in love with her for one of those summers; and not just John but apparently many other young men. When Natalie sees them together, and also notes that John is spending a lot of time with Vanessa, she feels nervous about their relationship. Vanessa runs the group with a man who acts as a personal trainer for the participants, but he also dishes out pills, which are supposedly herbal supplements. Soon this man is dead, a victim of his own 'herbs.' 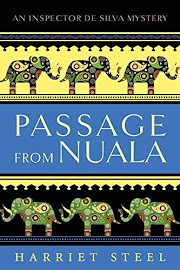 And so the reader is off on another adventure with Natalie, an intelligent, spunky, kind, and likeable character. I am so fond of this series, and I hope it goes on and on. The ending to this one is particularly satisfying to the reader. I read both of these books for the Foodies Read 2 Challenge 2012. Though this book wasn't that long, it seemed to take me ages to read it. I found it verbose. It featured long monologues, either written in a letter or spoken, which explained events and details. I was surprised at how dry the book felt after so enjoying That Affair Next Door. This book didn't feature the interesting Amelia Butterworth, but it was the first case for Green's detective Ebenezer Gryce. He is intelligent and clever but has an odd quirk of never looking directly at anyone. He addresses his statements to nearby desks or vases. We saw the case through the eyes of a junior partner in a law firm who becomes involved because a family's lawyer was unavailable. He is completely obsessed with a woman who may or may not be the killer. I found most of the characters tiresome and unreal. This was Green's first book so I cut her some slack, especially in light of the other book I read. I decided to read the second Amelia book, hoping to recapture my delight in this author's work. 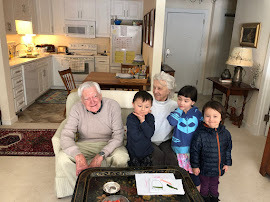 You may have read the first part in a Book Beginnings on Friday post. It was intriguing and I looked forward to the adventure, but it quickly became like a gothic romance with ghosts, and crippled children who sit and watch out their windows. There is an everpresent feeling of foreboding. 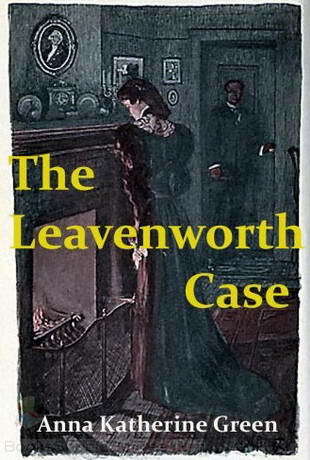 I read a few chapters and decided it wasn't for me, and sadly that Anna Katharine Green is just not my cup of tea. You may read The Leavenworth Case online here. I got it for free on the Kindle. Mrs Bale hasn't been around much this summer because she is a modest sort of person who never likes to appear as if bragging. The summer weather has been perfect. Really. Out of a children's storybook kind of perfect. Not too hot, not too rainy, not too sunny, windows open all the time, fans blowing. If I could write a poem, I would. While so much of the world has been suffering through drought and its opposite, we've had nothing to complain about. So, Mrs B hasn't wanted to say much. She has just soaked it all in and smiled with pleasure. And yesterday was no exception. We had a little rain during the night, and by morning the sun was out, and the temps in the seventies all day. A perfect day to go to the Fair! The buildings are permanent, empty for all but a few days a year. But, oh how they shine in those few days. to get milk, and a homemade doughnut (in that little basket) to have with these, my particular star of the Fair! Look at those dresses and suits. Not many of them in sight yesterday! We wandered through the midway, and spent most of our time in the halls and with the animals. A few years ago, a new permanent exhibit hall was created. It features items from the past. It is wonderful to see the way life used to be lived. A real cast-iron sink, and working water pump. We so love the animal barns; separate ones for cows, horses, sheep and goats, pigs, chickens, ducks, and rabbits. When the kids were younger I kind of dreamed that we might exhibit some of our animals or chickens, but we never did. 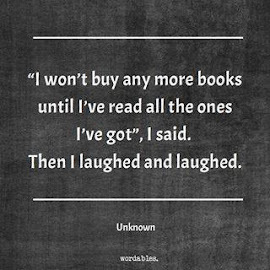 It is quite a commitment. Many of the young people stay right there at the Fair for the whole time. They have to keep their animals/birds fed, and their bedding cleaned, and keep them groomed for the judges. We spent about five hours at the Fair. We ran into some good friends, and their 37-year-old son with two of his three daughters. We used to go to the Fair together when all our kids were little, and now here he is with the next generation. The fairgrounds were filled with young parents and their little ones making memories. A young woman texted me saying she was homesick and wished she could come to the Fair. It gets into our hearts and stays forever. I wrote about this a few years ago when I quoted Auden's poem; the way the Fair is a constant in our lives. For more years at the Fair, you may click the 'Fair' letter topic.